GE Healthcare was seeking cost efficiencies by transforming instructor-led trainings into eLearning and a self-paced print curriculum. Change by Design worked closely with internal subject matter experts to understand these complex processes and co-develop the desired training. Change by Design professionals know that highly-interactive, activity rich eLearning can be more effective than instructor-led training, but it requires an in-depth understanding of how people learn best and the creativity to develop engaging online interactions. For this project, GE Healthcare asked Change by Design to redesign, storyboard, and develop a beginning ORACLE customer service course using Articulate Storyline 2. Changing directions due to shifts in priorities, GE Healthcare then asked Change by Design to design and develop print-based self-paced learning for an intermediate ORACLE customer service training. 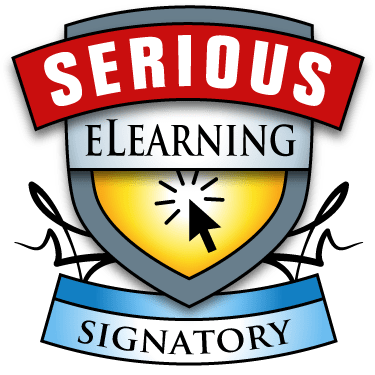 Change by Design professionals understand what makes effective learning and can apply those principles no matter the delivery method - print-based, eLearning, virtual instructor-led, or instructor-led!